A Group Exhibition with Zach Blas, Cristina Battle, Craig Campbell, Sarah Farahat, Tanja Geis, Kristina Lee Podesva, Lily & Honglei, Sanaz Mazinani, Omar Mismar, NAKA Dance Theater, Andrew Norman Wilson, Gala Porras KIm, Lordy Rodriguez, and Shelly Silver. 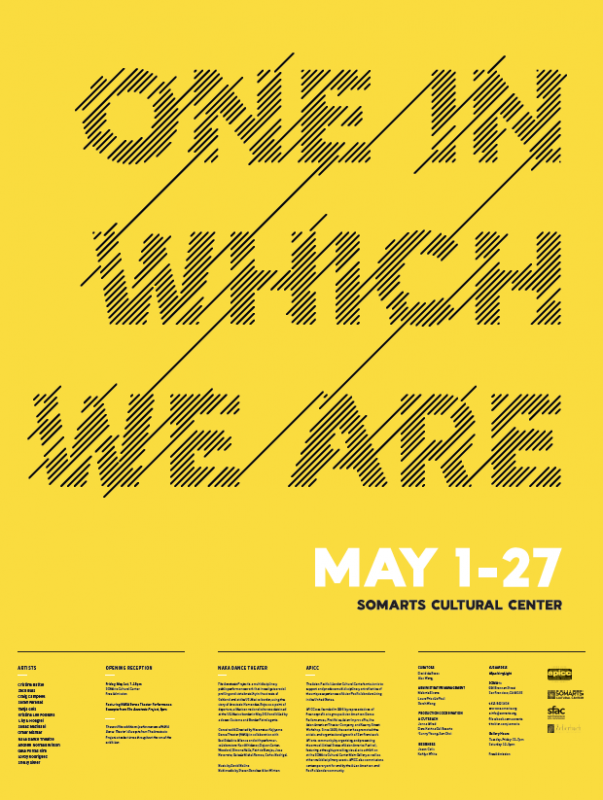 Presented by the Asian Pacific Islander Cultural Center as part of the 18th Annual United States of Asian America Festival ‘Sparking Light’, One In Which We Are is an exhibition which explores the complex interdependencies between structures, processes, events, and the collective individual. From where and in what contexts do we construct our positionalities as individual actors? What are the contours, conditions, and structural limitations of our own lived experiences, and how are we defined by our relationships to Others? What moves us to act upon, speak back to, and alter the conditions that make us? Though we are shaped by the world in which we live, we acknowledge that this conditioning does not determine how we will act in the world. This disconnect presents a dialectic in which we, as subjects, may transform into agents and shape that world in return. Through epistemological inquiries, the questioning of nationalistic narratives, challenges to biased assumptions, and prescriptions for citizenship in the 21st century, the artworks gathered here depart from that nebulous juncture between ‘conditions’ and ‘acts,’ reflecting upon notions of individual agency, responsibility, and solidarity within a collective framework. The artists in One In Which We Are represent a wide array of positionalities, operating via knowledges situated by their ethnicity, gender, sexuality, ability, and class, among other markers of identity. 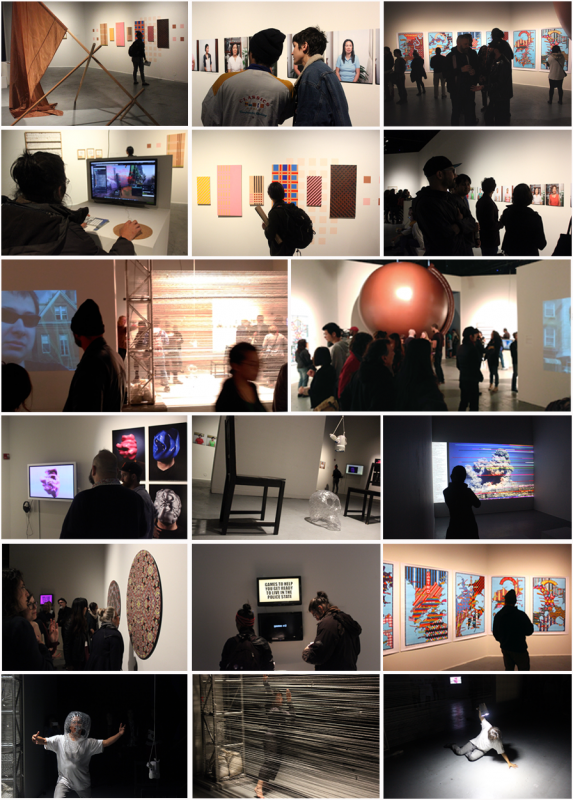 Conceiving of identity as a site of encounter—an open archive to be reconfigured and revised—this exhibition is envisioned as a relational map of reflections and experiences from where we may interpret and embrace our daily lives. One In Which We Are is an unremarkable assemblage of unremarkable words—a phrase that allows us to glimpse the immanence within our mediocrity, where we may locate the ‘We’ within the singular. One In Which We Are is made by me and my multiples and by you and yours. It’s rooted in violence and the experience of injustice—the shared vulnerability establishing our sense of belonging to a wounded world. One In Which We Are is a common desire, an aim to put proximity between distances; to render the distances weak, fragile—to make the miles warm. One In Which We Are is made by capacities; it’s a deviation within the context in which it happens. One In Which We Are is not a community, but a collection—one in which we exist together.